Pokemon Go has taken over everything it seems. Everyone is talking about it, many are playing it. I’ve seen a lot of stories – good and bad – as well as how this is impacting business. From developing new businesses (uber driver for Pokemon hunting, at slow speeds to simulate walking) to how to regulate it in the office. What I haven’t heard from anyone yet is how this will change business in the future. We already have the ability to have targeted ads at bus stops and technology that was so far fetched that Star Trek predicted it decades ago. But how can augmented reality impact shopping and improve our lifestyles? Pokemon Go is changing not just gaming, but our very lives. Those who think of how to use similar (or better) technology to improve business, lifestyle, and health of the world will be on the cutting edge. I’m willing to bet, as my dad says, dollars to donuts, that in two to three years we will see the beginnings of what entrepreneurs and visionaries are starting to work on right now. In five years this sort of thing will be common place. In ten years we will have evolved way past this and onto the next life changing thing. How can you prepare your business to function better, faster, more efficiently, increase margins to position itself in that future? How will your workforce change? How will your policies and procedures change? Think about the myriad opportunities for team building, recognition, retention, even impacts on health insurance rates and employee wellness programs. How about recruiting? Compensation plans and strategies? Last week I had the pleasure of (driving in the rain and Atlanta traffic with bad directions) attending the August SHRM-ATL Power Breakfast where the topic was succession planning. I looked at the event as a combination of factors. The content would be useful as this is an upcoming project I am pitching to the C-Suite and Board at the nonprofit I volunteer for. The content is good to understand for professional development and seeing how senior leadership could perceive and do things for my paid job. I also thought I might get an opportunity to network some. Unfortunately, I arrived just as the event was starting and everyone left quickly, so there was no opportunity to network. Some observations, the food choices were limiting (tasteless, rubbery eggs or pancakes, and fruit. ), the check in process was smooth and friendly, leaving volunteers asked to have name badges turned in – yay for recycling! – and I didn’t see anyone else tweeting or taking notes. Although a look at the hashtag #shrmatl shows one other person did one tweet. In fact other than a very few who appeared engaged in the discussion, others appeared to be bored and suffering. There was one team (of two) at my table who were discussing business! Luckily it was only for a few minutes, but I sent out a snarky tweet and was very close to asking them to take it into the hallway as they were distracting from the panel speakers. So let’s see if I can make sense of my notes a week after the fact! Succession planning can either be done top down or bottom up, the latter tends to be more robust and gets more buy in from line management. Recruiters can/should have a monthly matrix to compare internal and external with regards to relocation and mobility. Note, relo/mobility is the biggest stumbling block to internal mobility. Annual reviews of process should be done to reveal gaps in the process and for any position. Succession planning always starts with the job description, then hierarchy, navigating the maze (how to get there from here), getting and using data, then aspirations. Everyone (internally) should be a focus, by reviewing their core skills and leadership potential. There tends to be a lot of generational discrimination that needs to be addressed in the process. HR needs to do more to connect and build relationships/connections, this helps grease the wheels of the succession planning process. HR and managers also need to build the value in lateral transfers to build experience. Managers and EEs should chat regularly (quarterly at least) to discuss what energizes the EE, what additional responsibilities they want to take on and where their aspirations lie. Sometimes it is best for employees to “boomerang” so that they can gain experiences and interact with different managers that they would not have access to. This sort of development helps both the employee and the organization. HR (and the C-Suite if HR isn’t part of it) should review the organization to build in cross functional experience.This will help increase the number of potential successors. Don’t wait until someone is 100% ready to move into a new role, instead if someone is 80% of the way there let them start. There was also discussion about those who are 60 to 80% ready should be developed to get them to the next level of readiness. 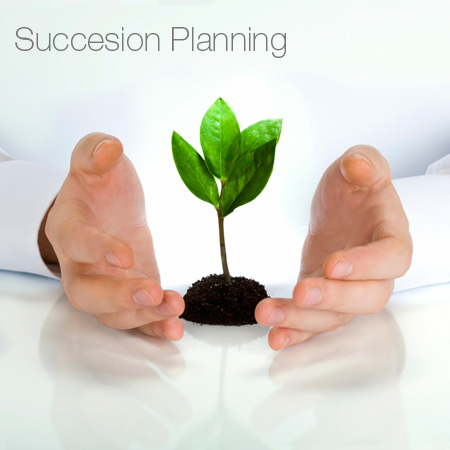 Succession planning can be viewed as a talent ecosystem. High potential employees should be regularly (quarterly) assessed based on success factors and competencies to reduce/remove subjectivity. Technology should be used to support the conversations had with regards to succession planning and readiness, it should not be a crutch. Remove secrets and help each other. It was suggested to change the title from Talent Management to Workforce planning – to which my notes indicate (yawn). Data and Analytics can be used to see where there is movement, skill gaps, diversity gaps, and who is developing internally. It is recommended to review semiannually with managers and annually with the Cs and Board. Use data and analytics to keep an eye on high risk in critical roles/people. Finally, the last points were to find ways to build succession planning into the culture so that the building of relationships and thus the necessary conversations are easier, more frequent, and less formal.